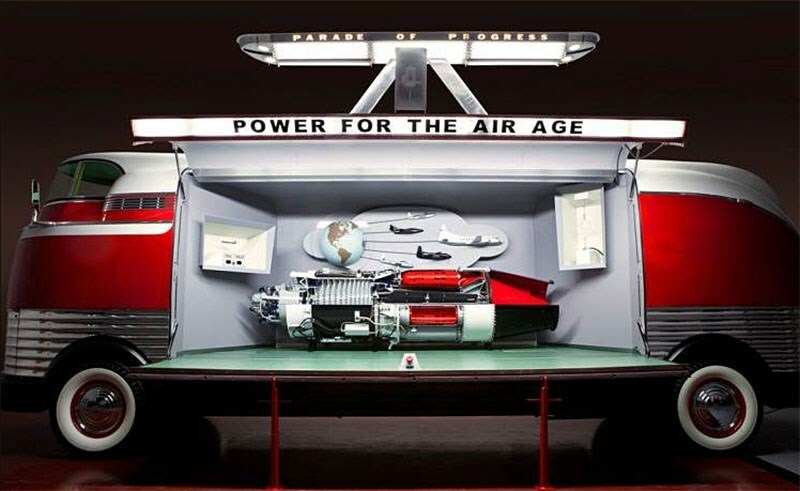 Another GM Futurliner showpiece goes under the hammer later this week in Reno, U.S.A.
One of the famous fleet of GM Futurliners has come up for sale. This time it’s number three, which Hemmings will feature at its Hot August Nights Auction in Reno (USA) later in the week. 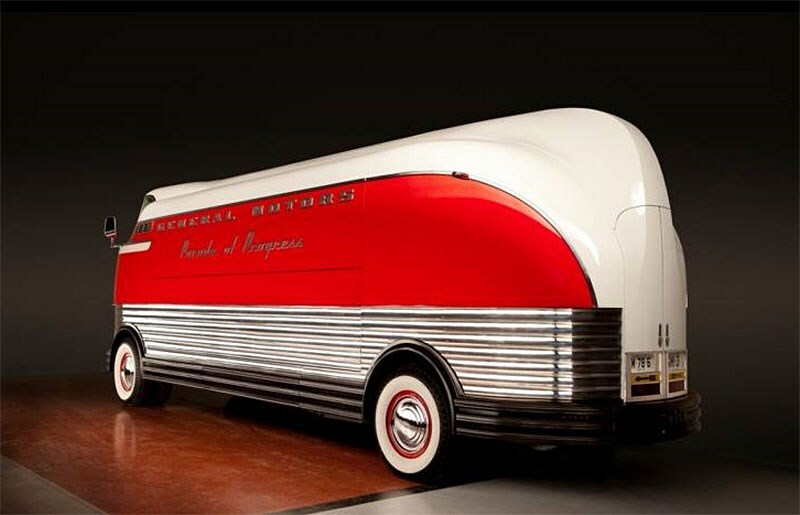 Full restored, it’s one of a fleet of vehicles that spent years touring the north American continent in various guises, running a mobile General Motors technology exhibition. The 1939 date listed by Hemmings doesn’t quite gel, as the jet engine it displays first fired in prototype form in1947. 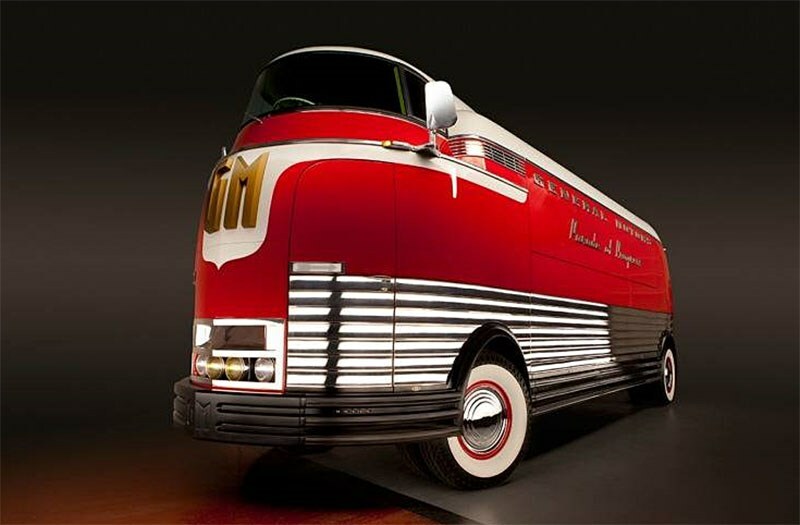 We believe the bus is part of the 1953 Futurliner fleet, which Unique Cars magazine recently ran a piece on. It says in part: The Futurliners were astonishing then and still pack a visual punch today. It’s hard to imagine the impact this convoy of vast, red and white behemoths would have had rolling into quiet rural towns across the US. Get up close to one and you realise how huge they are; fully 10 metres long, 3.5 metres tall and with a 6.3 metre wheelbase. The stylised Art Deco bodywork and deep chrome and red fins catch the eye but there are some intriguing details such as the dual (side by side) front wheels, each wheel having its own braking system. Virtually all of the Futurliners suffered issues with power steering pump failure which could have made for a few interesting moments behind the wheel. We haven’t yet seen an estimate for this vehicle, but an example sold last year by Barrett-Jackson went for US$ million (Au$5.26 million).